Big Dog was established as a showcase for Terbodore Coffee. It was conceptualised along three pillars: food, design and coffee. 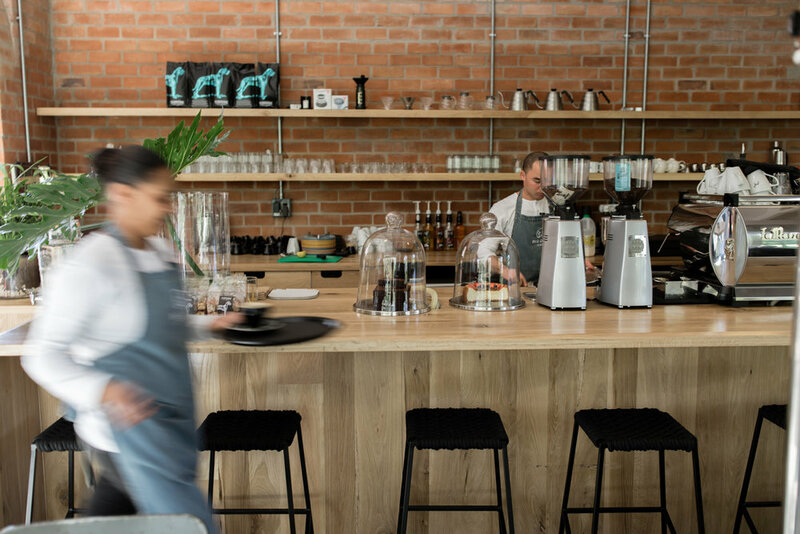 Everything works together to bring the latest café experience to Franschhoek, with the focus being on excellent coffee and interesting menu options and specials, all set back in a laid-back café environment. Situated on the main road just before you reach Franschhoek, the café also has a coffee roastery beside it, where the intoxicating aromas of freshly roasted coffee beans can be appreciated. Michael and Alrishka Macaskill of Terbodore Coffee Roasters visited California, New York, Oregon and Washington in 2016 and soaked up the coffee and café scene over there, gaining inspiration along the way. Full of menu and design ideas, they came back and opened Big Dog. With a light and airy space with wood and exposed brick dominating, every area feels different. Besides the numerous four-seater tables, there are contemporary bar stools at the bar counter, a large communal-style table, private nook with a garden view or lovely brown leather sofas in a lounge arrangement in the store. There’s also a deck that opens out onto a tranquil garden with beautiful willow trees.